Sound medical decisions require sound medical evidence. However, did you know that many estimate that the majority of published medical research studies are not reliable or are of uncertain reliability? You need an evidence-based process for quality patient care and to avoid waste. An evidence-based approach requires that evidence be evaluated for reliability and clinical usefulness. This book can help you. How do you hire and evaluate an evidence-based staff if you lack evidence-based skills yourself? What are some helpful resources and tips to save time? Creating high quality monographs: How do you get the right information to the committee without swamping them with unnecessary details? How do you keep your committee discussions evidence-based if your members lack these skills? How do you make decisions on factors other than evidence? How do you avoid typical pitfalls? Delfini medical evidologists and information scientists, Sheri Ann Strite and Michael E. Stuart MD, answer these questions and more. 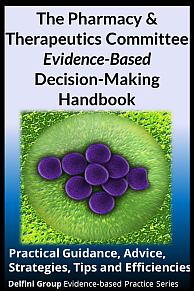 The authors have worked extensively with Pharmacy & Therapeutic groups around the country to help them establish and operate a truly evidence-based committee. 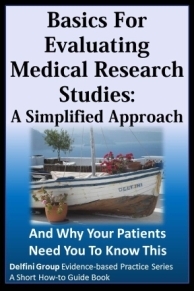 Benefit from their experience and tips for evidence-based practice and efficiencies. Note: Contents are similar to our Medical Technology Assessment book, but targeted for an P&T audience. "I know sometimes the jaded medical world may feel that evidence-based medicine and critical evaluations are nice academic exercises that rarely, if ever, influence member safety. We know that this is not the case… You help reignite for many the real reason they got involved in pharmacy and medicine in the first place. We definitely can make a difference..."
"…Thanks for shouting out to the Washington State Health Technology Clinical Committee. 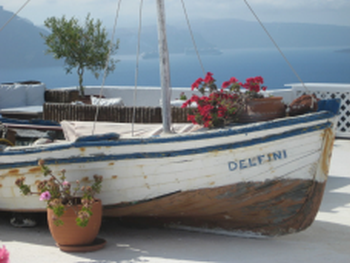 Along with the help of organizations like Delfini providing us with superb evidence reviews, we are showing a way that the US should follow, in my opinion."